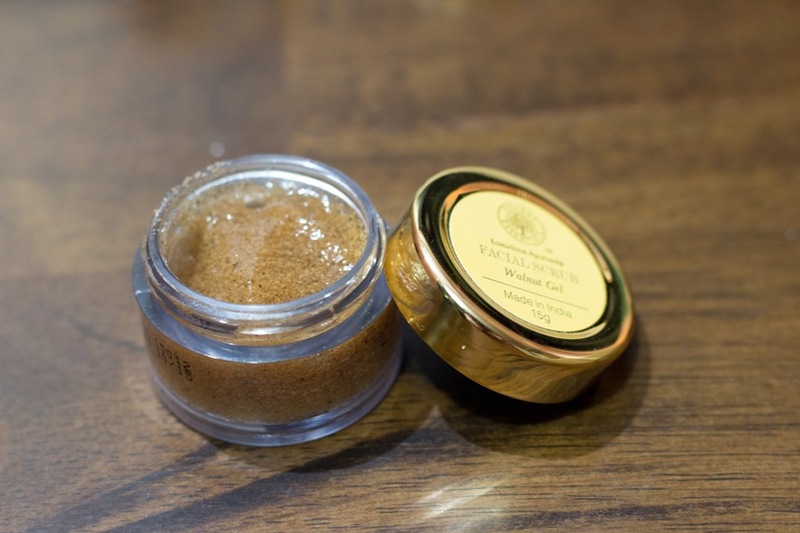 Forest Essentials Revitalising Kashmiri Walnut Gel Scrub Review. I bought Forest Essentials since it was on my "To Try: Cruelty-Free Brands in India" List. You can read what I purchased to try. The patch test behind my ear turned out just fine so I decided to finish it off this January. The first time I used this scrub, I was startled with the brightened skin and removal of slight Tan. I jumped at the conclusion of purchasing the full sized jar. 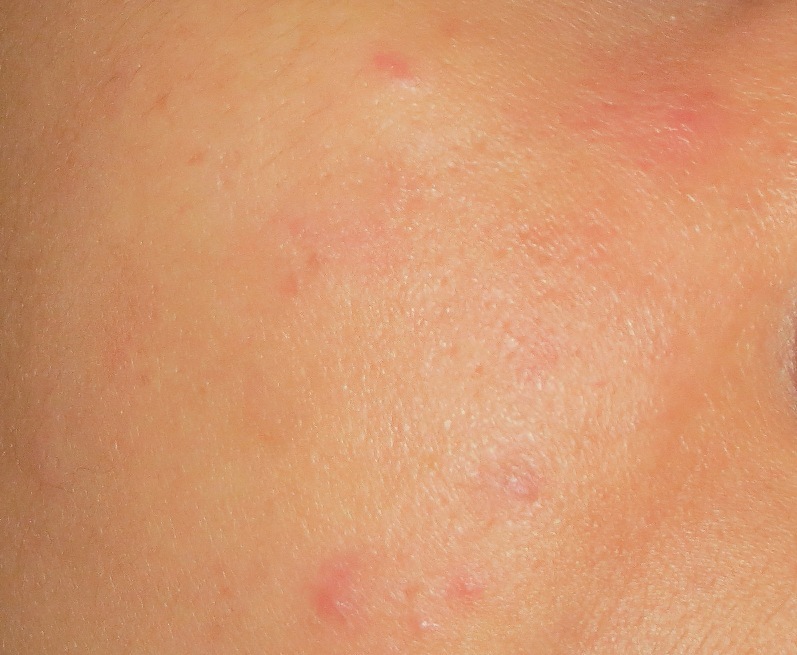 I used twice that week and since I had few acne that next week, I abstained from scrubbing. It was that horrendous night of 23rd January when I cleansed my skin with Forest Essentials Cleanser and I scooped out scrub with my fingers, I weirdly smelt of Alcohol. I followed with my Almond Oil and retired for the day. The morning that followed I woke up with four Bean sized rashes two on the left cheeks, one on the right and one hiding under the chin. See the Picture below. And they were itching and so were my acne, by the mid morning I had got red bumps and blotchiness. I continuously sprayed my face with Rosewater and skipped anything except my night time almond oil. Next day, I woke up just fine, my rashes were gone but not the redness. Right at this moment, My skin is still dry and inflamed and I have used up the Forest Essential Walnut Gel Scrub for my feet last night! ~ I can smell Alcohol. Reminds me of Isopropyl Alcohol I use for sanitising my makeup & stuff. ~ The first time when I used it, I had a weird feeling that it numbed my skin a little. 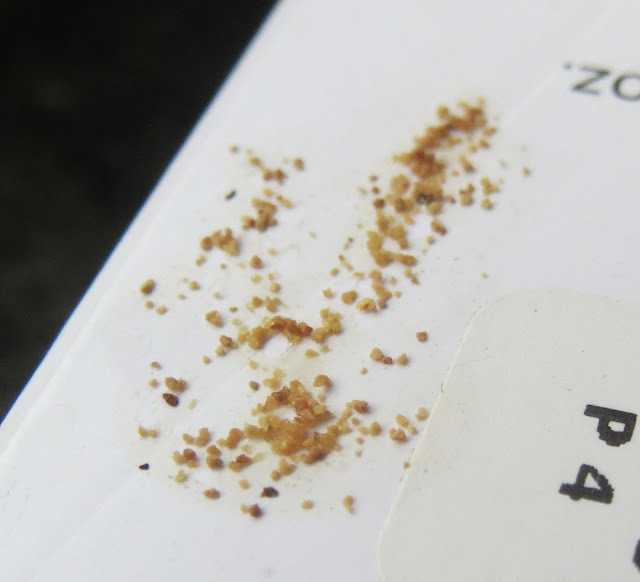 Since the scrub granules are harsh. And I made sure, I don't over scrub. ~ Key Ingredients? We know the Key ingredients from the very Long products names too. Moreover, I began my fact finding with the Ingredients which should be concluded soon. And here is why I am so no fandangle with respect to the Ingredients List.